How Specialized Software Makes the Difference in Business Success How Specialized Software Makes the Difference in Business Success – MillionClues! In a world where businesses increasingly rely on technology, the most successful ones utilize specialized software. Business software is developed with a goal of increasing productivity for all kinds of businesses. A specialized software offers businesses an array of tools that ultimately leads to greater success and better customer satisfaction. 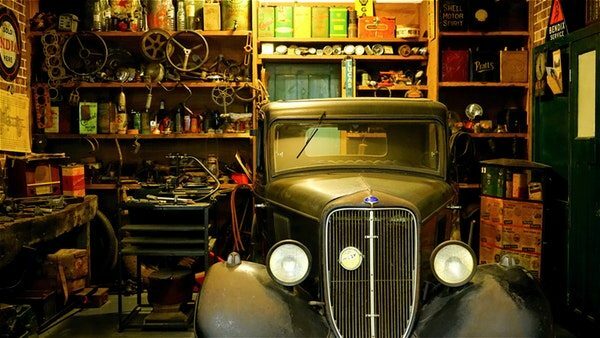 Managing an auto repair business can be hectic without organization. It’s therefore safe to say the right software can make managing an auto repair shop much easier. The efficiency begins when a customer walks through the door, and his information is inputted into the software. This keeps a record of the client’s information and the work that is done on their car. The specialized software also keeps track of the total number of cars repaired as well as their make and model. It also tracks the different parts that were used in repairs. This keeps a record of the complete repair history of vehicles including all parts used in each repair. Specialized auto repair management software also keeps track of inventory so the manager knows the status of existing stock. Furthermore, automated reminders alert the manager when a particular stock is low. Keeping account of employees and the hours they work is also much easier. The accounting aspect of the business is also facilitated by auto repair business software like ProfitBoost, which has a reputation for being easy to use and compatible across multiple mobile devices. With such software, the manager can know precisely how much money is being earned for a particular order or for a specific accounting period in addition to an assortment of other business data points, actions, and updates. Another benefit of specialized software is that they can be accessed from an array of digital devices. This is possible because all the data of the company is placed in the cloud. A manager can check the inventory and see which repairs are currently taking place. This information can be easily accessed from a smartphone, tablet and laptop at any time and anywhere. Keeping a record of a customer’s scheduled service appointment is also important. The specialized software can send them a reminder and promotional offers. Keeping of all this substantial information is integral to a successful auto repair shop. The right software will make it seem effortless because it does most of the work. Running a successful salon and spa means keeping customers happy. A specialized software will help you do just that. Salon customers vary in so many ways with some preferring a specific service, and others preferring a certain employee. Keeping account of all this information is perplexing. Managing the personal details of each client and making sure information is updated is also challenging. A cloud-based salon software will simplify this process and more importantly, the data won’t get lost. With features like an appointment calendar, a manager will be prepared by being aware of the date and the type of service requested. This prevents conflicts in the schedule which can result in losing customers. Clients can also make appoints online, so an employee answering a phone is not necessary. This ensures that clients can make appointments 24/7, a convenience that can increase the salon’s profits. The software can also give a reminder of product availability status. After all, what can more embarrassing than a client arriving for a scheduled appointment only to find out that their favorite hair dye is unavailable. The performance of employees can also be reported, a handy feature for any manager. Another feature of Salon and Spa management software is the marketing tools that are available. A salon business profits more when clients are kept up-to-date and made aware of promotions. Clients can receive automated SMS and emails to remind them of the latest trends and the latest happenings at the salon. Smart businesses grow and succeed because they take advantage of technological advances that are available to them. Specialized software can help a business keep track of their client’s information and preferences. It can also keep track of inventory and send reminders when stock is low. The right specialized software can make running a business not only much easier but also more successful.